And we get to enjoy the feathered friends that visit the cottage immensely. 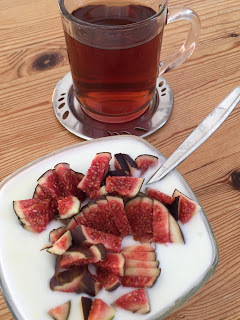 Something else that was really enjoyable was a bowl of yoghurt and figs for lunch, just because we wanted a treat. Though seeing that little bird was a wonderful treat aswell! 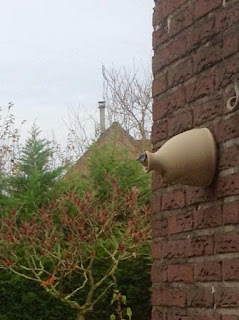 Do you spot a lot of birds near your home? Have fresh fruit treats? Something else you wish to share, please do!